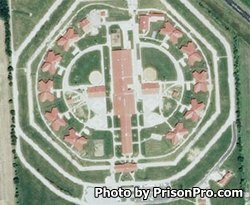 Northeast Correctional Center is located in Bowling Green Missouri. It is a minimum-medium custody facility that has the capacity to house 2,106 male offenders. Northeast Correctional Center runs a 24 bed substance abuse treatment program and provides substance abuse assessment services. Inmates can also participate in Alcoholics and Narcotics Anonymous meetings. While incarcerated, inmates are encouraged to take vocational classes in computer training, maintenance, and HVAC. Northeast Correctional Center also provides parenting programs designed for inmates with children. Offenders also have educational courses available, that enable them to earn a GED and adult basic education while they serve their sentence. All visitors must complete a Missouri inmate visitors application and be approved before they can visit. Visitation occurs on Fridays, Saturdays, and Sundays from 9:30am-1:30pm and 2:30pm-6:30pm.